Wednesday January 23rd 7.30pm DEMONSTRATION by Sarah Broom ‘Seasonal Flower Arranging’: East Devon florist Sarah will make two floral arrangements and give tips for taking part in the Summer Show Floral section. Wednesday February 27th 7.30pm TALK by Graham Roberts ‘The Otters return to Southern Britain’. Find out about the ecology of these much-loved creatures from an ecologist and former wildlife officer. The container and tuber for the sponsored potato competition show class will also be on sale for £2.50. 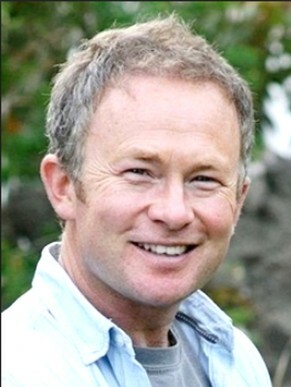 The BBC Gardeners’ World Presenter talks about ‘Plants for Plenty’, on Friday 11th January 7.30pm, at Kilmington Village Hall – tickets are £10 from Lesley Rew on 07900 827689. Tuesday March 12th 9.15am NT Saltram COACH TRIP Lovely spring garden with folly and orangery, magnificent Georgian country house, cafés and shop. Cost NT members £14, Non NT £21. Bookings: Annie Kobus 01297 443346.